We want you to experience the highest quality of customer service. In this section, you will find information to make your shopping experience even better. You can track your order after receiving your shipping confirmation email. To track your order, please click here. 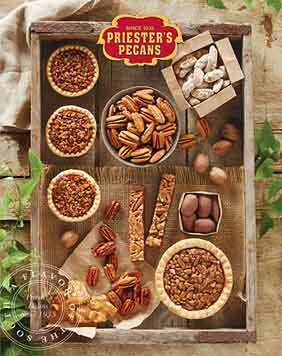 If you don't know your order number, please contact a Priester’s Pecans Customer Service Representative by calling 1-866-477-4736, 8:00 a.m. to 4:30 p.m. CST, Monday-Friday. If your package has not arrived within the shipping time you specified when you ordered, feel free to Contact Us.